It’s one of the wine rules I live by. 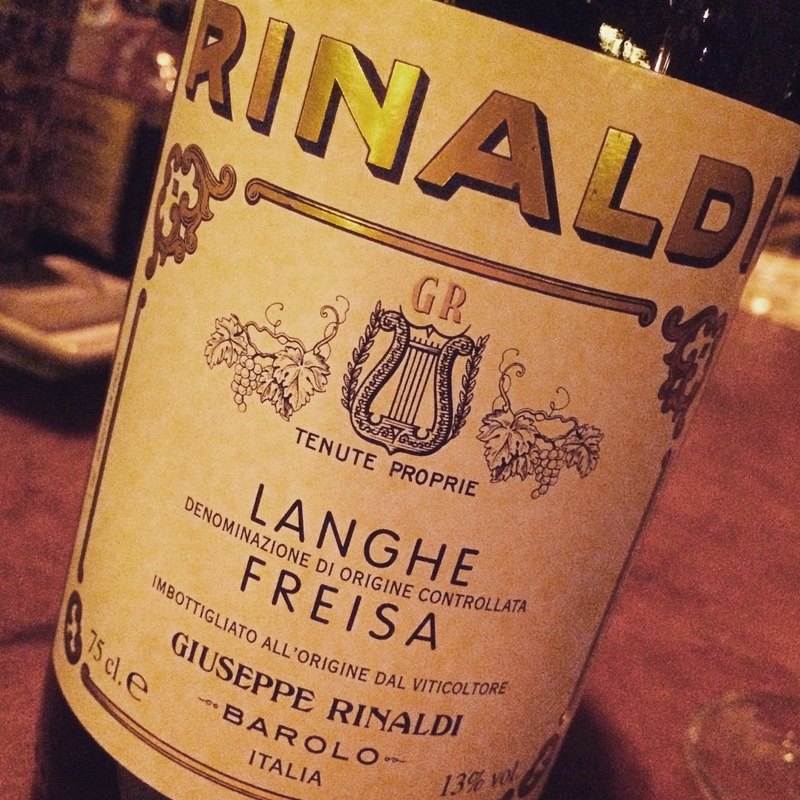 If there’s a Giuseppe Rinaldi wine on the list just order it. Of course, if the list is stocked with old Barolo, following my guidance will surely put you on a crash course with your bank manager, but seeing as the Rinaldi Barolos are rarer than hen’s teeth at the moment, you’re probably more likely to encounter Citrico’s Barbera, Dolcetto, Langhe Nebbiolo, Freisa or Ruché. 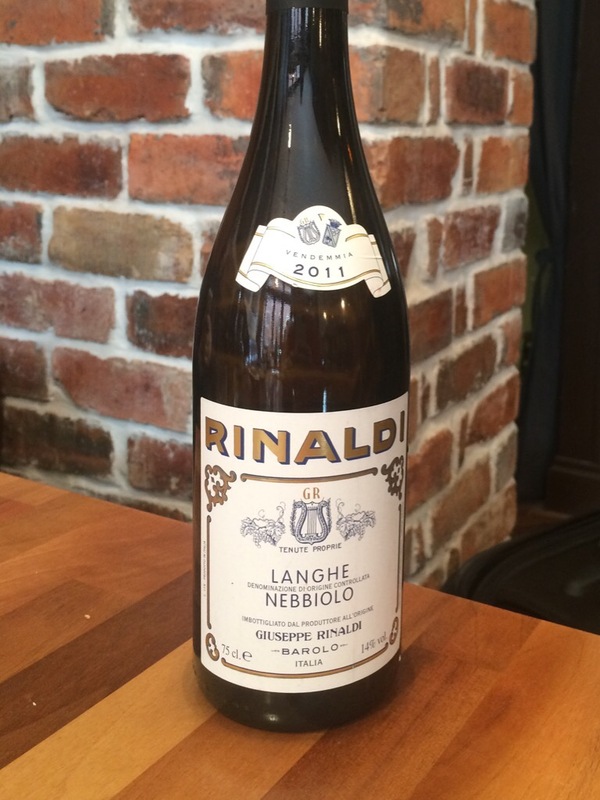 During a recent visit to Milano my quest for Rinaldi took me to N’Ombra de Vin. In fairness, I ventured down into the wine cellar more in hope than anticipation, refusing to believe that the website, which lists the 2010 Brunate in magnum, was up to date. Of course it wasn’t, but I did spy some 2013 Freisa which we gleefully glugged alongside some delicious Prosciutto di San Daniele, sweet lardo and mortadella spiked with truffles. 2013 is by all account the next super vintage in Piemonte, following hot on the heels of 2010. The Freisa was youthful but very much open for business. The nose was unusual, oscillating between dark fruits, liquorice, vegetal accents and some balsamic notes. The real excitement came on the first sip though – really lively and energetic, leaping around on the palate and scything through the fat of the salumi. 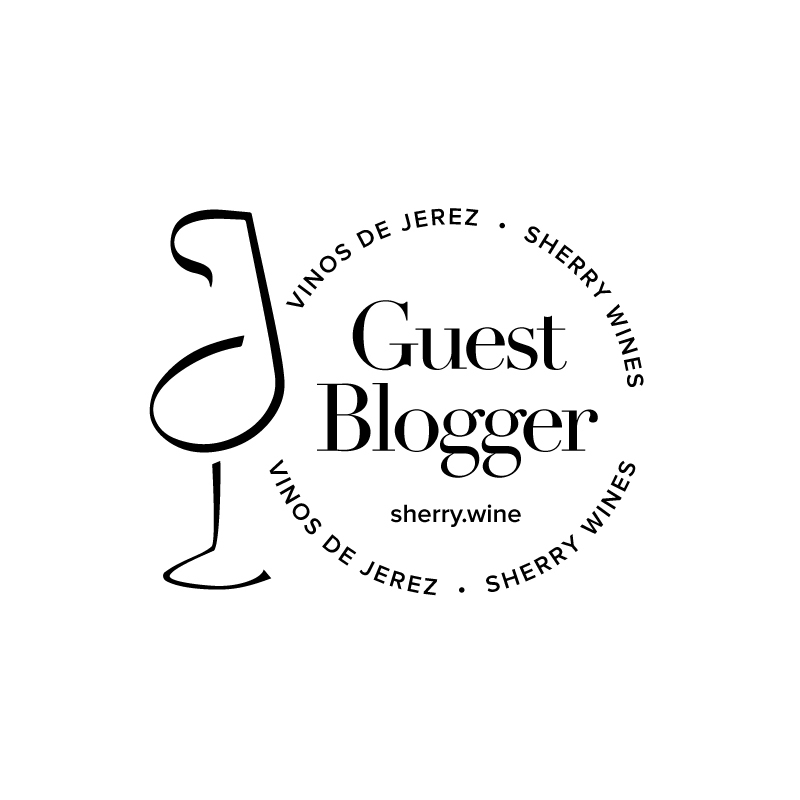 Yes, it’s somewhat rustic, but it’s that edginess – the acidity and tannic bite – that I loved about it. I was only back in Dublin for a few days before a brief hop over to London. Friday afternoon lunch in The Remedy was on the itinerary, and we had our minds focussed on sampling a few different wines via the magic of Coravin. I thought that would be my fill of Rinaldi for a while, but the most intriguing encounter would follow 48 hours later. The catch: the bottle had no label. The staff in Sager + Wilde began to apologise, but I had already done the mental arithmetic – there was only going to be one winner in this game of ‘Rinaldi Roulette’. I had ordered, and was paying for, the ‘Rosae’ Ruché 2012, so I was either going to break even or hit the labelless lottery jackpot! Alas, the Ruché it was. Or at least I think it was. This was my first ever experience with Ruché and I found it to be beguiling. Nice freshness on the nose with floral perfumes but also with a background hint of a dried herbal and spicy character. Mid-weight with tart red fruit and a bitter mineral finish that was marked by drying and surprisingly lingering tannin – this probably needed a year or two to settle down a bit more. Over the course of the bottle, the flavours seemed to turn darker and wilder. Very interesting indeed and paired brilliantly, if a little unusually, with Todd Terje on the soundsystem and Sager + Wilde’s delicious grilled cheese sandwich. Rinaldi wines are imported in the UK by Raeburn Fine Wines. I’ve yet to try some Ruche myself and would love to get my hands on it. I wish I could just go back and tour Italy region by region and taste all the indigenous grapes I cant get here in the states. Ian d’Agata has a newish book out about the native grapes of Italy.